Experience the all-time classic comedy-horror movie like never before by playing this mind-blowing Ghostbusters board game. The game is based on the plot from Ghostbusters II. Take 3 of your friends on a journey of supernatural crime fighting. Can you defeat Vigo and his minions. 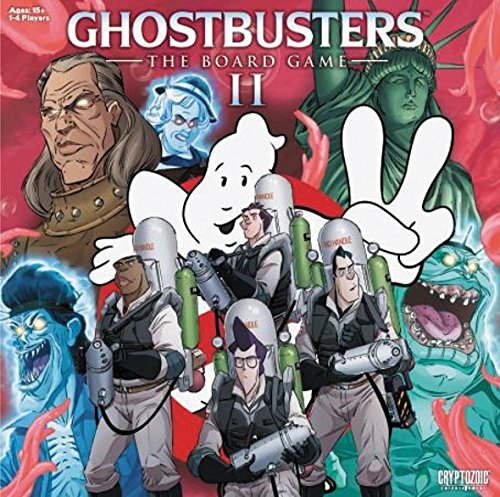 In GHOSTBUSTERS: THE BOARD GAME II, you will investigate the slime that has flooded the city, causing earthquakes and riots in an attempt to defeat Vigo. The game features figures based on original designs by Dan Schoening and an original story by Erik Burnham, both veterans of IDW’s Ghostbusters comic book series.